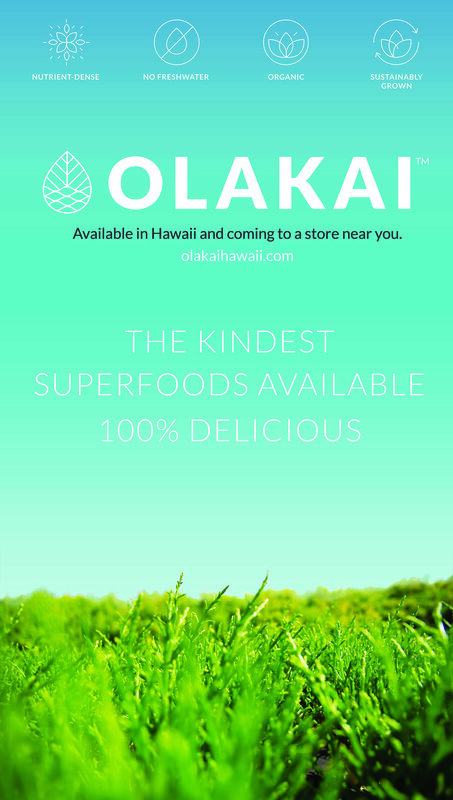 Olakai Hawaii is a family-owned/operated, sustainable aquaculture venture. Founder Dr. Wenhao Sun developed a way to maximize sea vegetable production in saltwater ponds, making his method many times more space-efficient than traditional agriculture. These ponds use no fresh water and are 100% organic.